Offering you a complete choice of products which include anti crane collision universal, anti crane collision one set point and anti crane collision two set point. We are remarkable entity, engaged in offering a superior assortment of Anti Crane Collision Universal. Our provided product is developed by highly skilled professionals using finest grade raw material & latest technology keeping in sync with the norms of industry. Offered product is stringently tested on various parameters in order to deliver defect free range. Output is NO contact of relay which can be interlocked with coil of Contactor in respective direction. DETAILS Electronic Switches offers Anti Crane Collision Switch for two over head cranes on the same rail. These units are installed on two cranes on the same rail approaching each other. With these units, the two cranes on the same rail will never collide with each other & thus the damage caused due to collision can be avoided. The minimum distance in between two cranes can be set and will always be maintained. The cranes will be able to move away from each other but not closer. FEATURES This works on universal voltage from 24 Volts to 220 volts, AC or DC, and is suitable for 3 meters range. Output is NO contact of relay which can be interlocked with coil of Contactor in respective direction. Alignment of Sensor and Reflector is very easy. 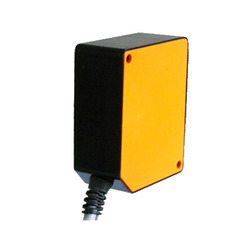 We are highly famous manufacturer and supplier of a wide range of Anti Crane Collision One Set Point that has inbuilt Infra Red Transmitter & Receiver along with other processing circuit and power supply. This product is manufactured by our experienced professionals by utilizing high grade raw material and sophisticated technology. Offered product is installed on two cranes on the same rail approaching each other. Electronic Switches (India) Pvt. Ltd. offers Anti Crane Collision Switch for two over head cranes on the same rail. These units are installed on two cranes on the same rail approaching each other. With these units, the two cranes on the same rail will never collide with each other & thus the damage caused due to collision can be saved. Unit has inbuilt Infra Red Transmitter & Receiver along with other processing circuit and power supply. It works on 110 VAC and 220 V AC supply and offers potential free relay contacts. These contacts are interlocked with the contactor for direction of motion towards each other. 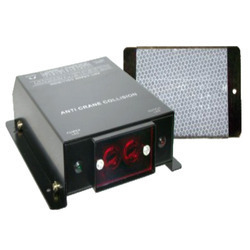 Set consists of a control unit and a reflector. Control unit is fixed on one Crane and the reflector on the other crane opposite to the control unit. Same way another control unit should be fixed on second crane and it's reflector on first crane, opposite to each other. Make sure that both the control unit should not be placed opposite to each other. Alignment of both the units is necessary, as the rays transmitted by the Transmitter will be reflected back by the Reflector. 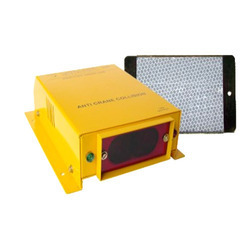 A Laser Alignment Tool is provided for perfect alignment of control unit and reflector. The reflected beam will be picked up by the receiver when both the cranes come closer. When the two cranes come within the range, the moving crane will be stopped immediately. This range can be adjusted for single set point, as required. For two set points, one can be adjusted to get an alarm at required distance and another can be set to stop the crane at required distance. We are a noteworthy organization in the domain, engaged in providing a superior quality range of Anti Crane Collision Two Set Point. The offered product is developed utilizing top-notch quality raw material and advanced machinery under the supervision of our experts. Our product is inspected on several parameters in order to deliver defect free range. Additionally, this product is accessible in various specifications as per precise requirement of clients at reasonable prices. Electronic Switches (India) Pvt. Ltd. offers Anti Crane Collision Switch for two over head cranes on the same rail. These units are installed on two cranes on the same rail approaching each other. With these units, the two cranes on the same rail will never collide with each other & thus the damage caused due to collision can be saved.